Hero is a word we hear often in sports, but heroism is not always about achievements on the field of play. 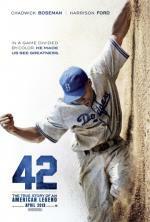 "42" tells the story of two men—the great Jackie Robinson and legendary Brooklyn Dodgers GM Branch Rickey—whose brave stand against prejudice forever changed the world by changing the game of baseball. “Renoir is a lush, involving film that deals not with one Renoir but two, as well as the strong-minded woman who was a key player in their lives. The year is 1915, the setting the gorgeous landscape of the French Riviera, and Renoir the father, the recently widowed 74-year-old Impressionist painter Pierre-Auguste, is hungry for inspiration. Sarah Polley explores her family history, and the idea of memory. 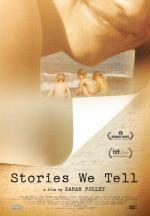 Stories We Tell makes “documentary” seem the most limiting of labels. Sarah Polley’s brave quest to uncover her family’s deepest secrets unfolds like a thriller, one where the resolution is literally part of her DNA. It’s an intimate story of truth, memory and reconciliation, not just for Polley and her family but also for astonished viewers.